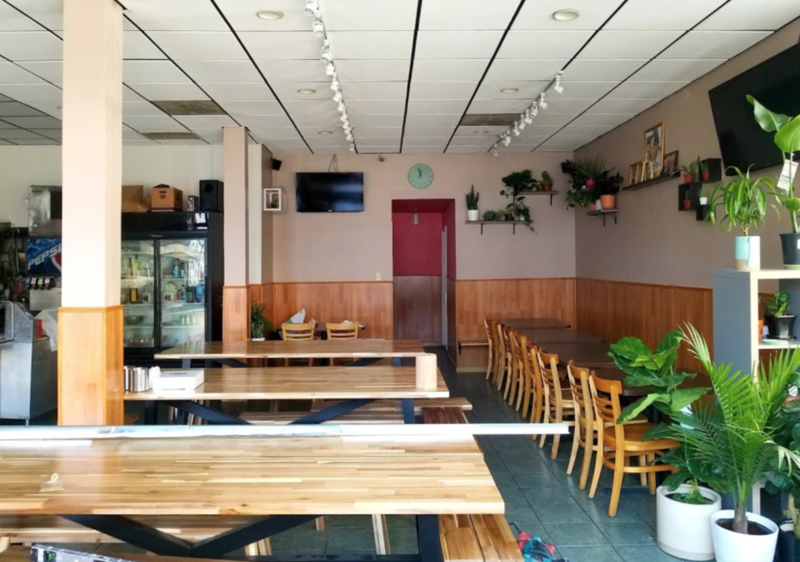 In this edition, a new Thai grill softly opens in Lower Nob Hill, a Visitacion Valley coffee spot is poised to make its Mission District debut, and a short-lived bakery and brunch spot on Divisadero is calling it quits. To the disappointment of many longtime neighbors, Tenderloin stalwart Little Henry's served its last plate of pasta in September. After 36 years in the kitchen, the owners decided it was time to retire, selling the restaurant space to the owners of South San Francisco's Siam Spoon. This week, it's softly reopened as Ping Yang Thai Grill & Dessert, just three months after Little Henry's vacated the building. 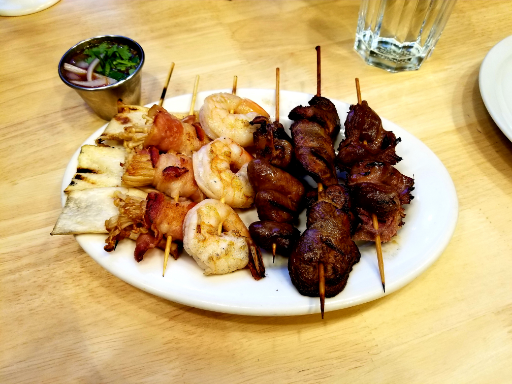 Veteran Hoodline tipster Al M. stopped by this week for a tasting, sampling a selection of grilled skewers of chicken gizzards, hearts and kidneys; shrimp; octopus; wild mushrooms and eggplant. The "desserts" in the name points to Ping Yang's selection of bingsu, a popular Asian dessert with roots in Korea. It's typically made with shaved ice, sweetened condensed milk, fruit syrups and an assortment of toppings, like fresh fruit and red beans. 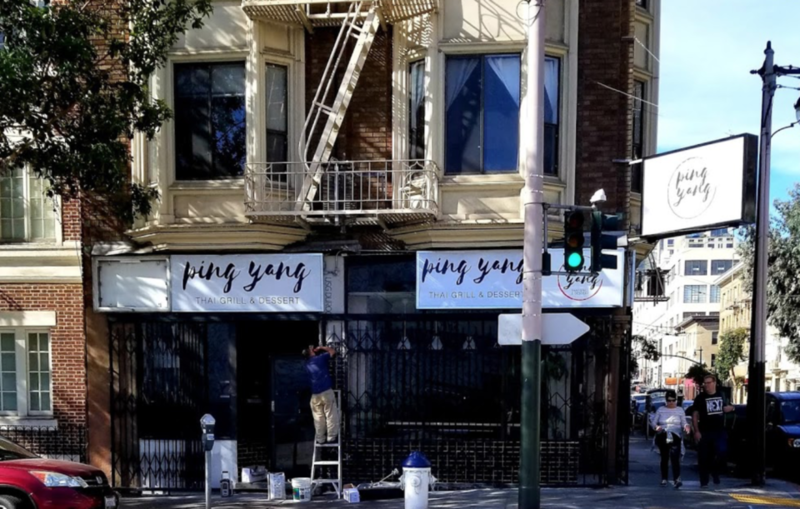 Ping Yang will be in soft-opening mode until the new year, with hours subject to change. 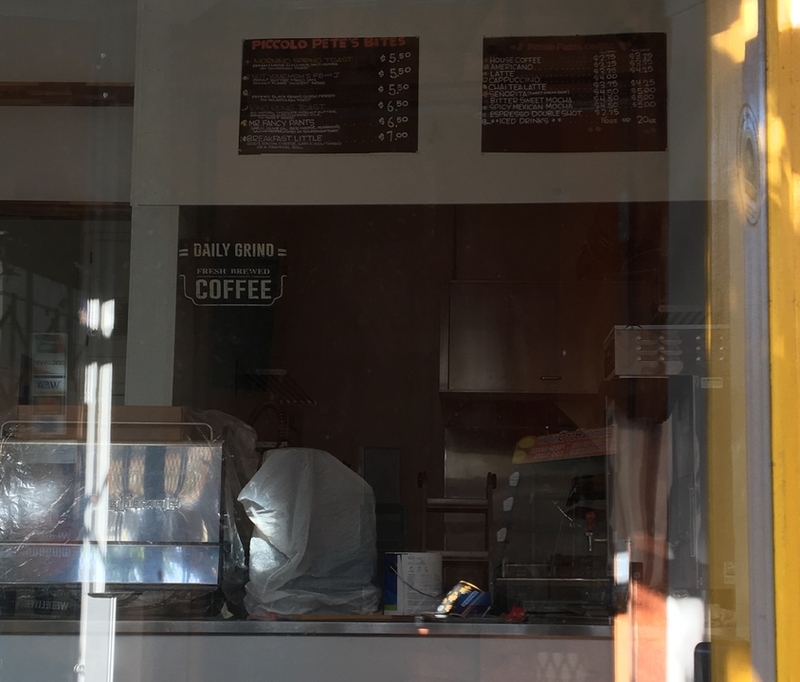 Once things are in full swing, the eatery will be open daily from noon-1 a.m.
Hoodline reader Jacob H. wrote in to let us know that Visitation Valley's Piccolo Pete's Cafe is expanding to the Mission. If the new location's menu mirrors the original, expect to see toasts topped with an assortment of accoutrements, like the King Kong (bananas, chocolate-hazelnut butter, nuts, condensed milk) and the Mr. Fancy Pants (mushrooms, brie, garlic, olive oil and honey). The original outpost also boasts breakfast sandwiches and coffee and chai drinks. 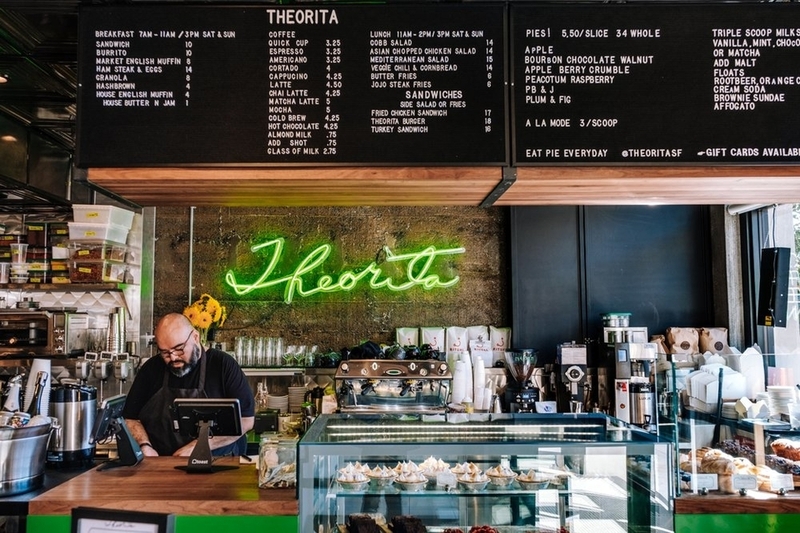 Finally, upscale diner/bakery Theorita -- which comes from the team behind Che Fico, located just upstairs -- is throwing in the towel after roughly six months in business. The restaurant will be holding its final service next Saturday, December 15. The impetus for the closure stems from the size of the location, which boasts space for 60 seats but was largely accommodating smaller crowds. "We need to find a smaller space where we can do volume," partner Matt Brewer told Eater SF. Brewer said that low check sizes were also a factor in the closure, with cheaper sandwiches, pastries and pie being diners' favored choices over pricey entrees. Given Theorita's popularity, Brewer said it's possible the restaurant will resurface in smaller digs elsewhere. We'll keep you apprised. Thank you very much to Jacob H. and our veteran tipster Al M. for the tips! If you've seen something new in the neighborhood, text your tips and photos to (415) 200-3233, or email tips@hoodline.com. If we use your info in a story, we'll give you credit.